In this case he was just looking for a nice place to sun tan and dry off. 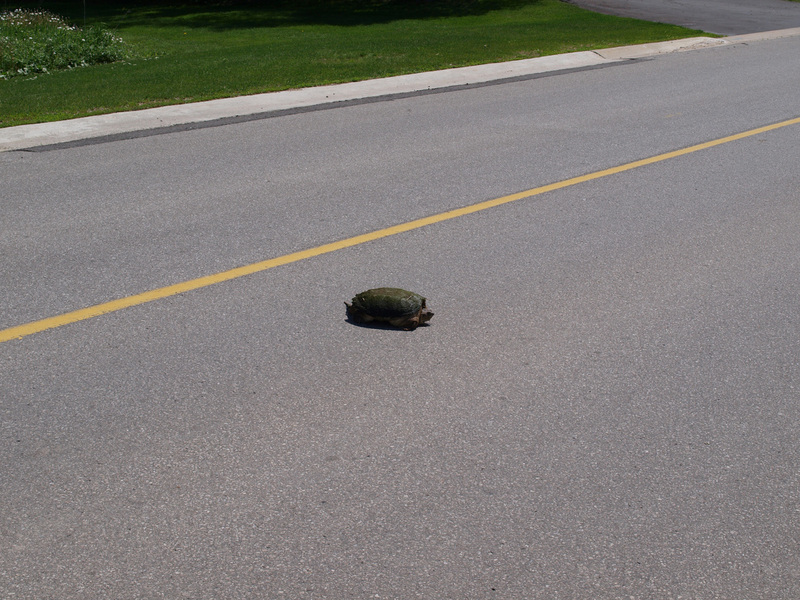 I saw this turtle on Mt Hope Rd. beside Gibson Lake. 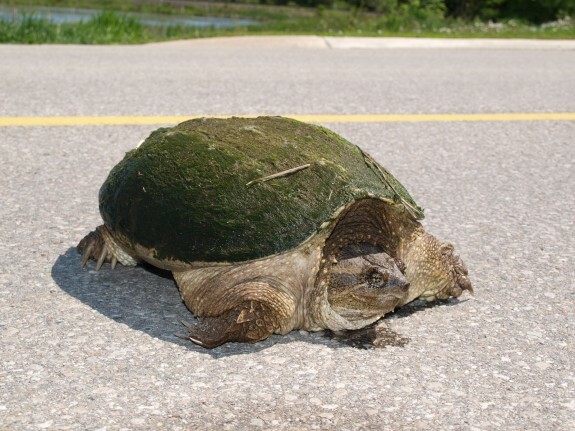 I was actually quite surprised how little people cared about the turtle driving over top of him instead of driving around him in most cases, he was not harmed but I can imagine not all turtles are so lucky. Anyone who drives along Highway 50 just north of Castlederg Rd. 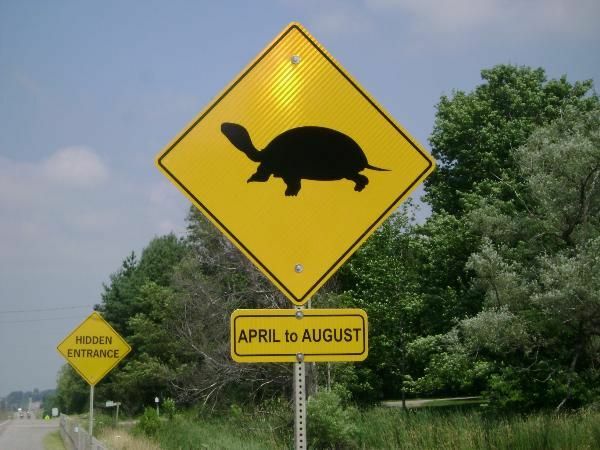 will be familiar with the Turtle Crossing warning sign, perhaps it could be added in other areas in Caledon like at this spot along Mt Hope Rd. 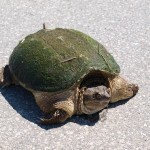 I believe this little guy is a Common Snapping Turtle (correct me if I am wrong), they widespread throughout southern and central Ontario however they are found as far west as the Rocky Mountains and as far south as Mexico and Ecuador. 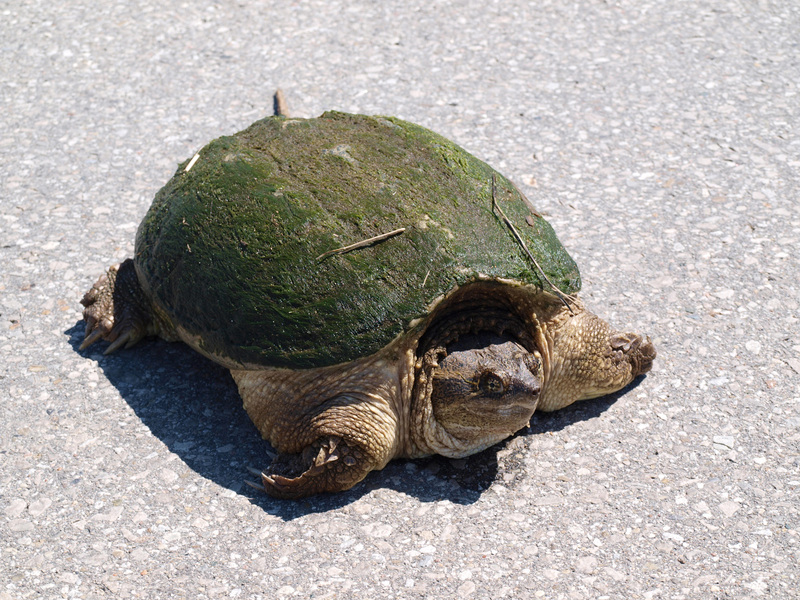 While in the wild the lifespan of wild snapping turtles is estimated to be around 30 years (assuming they aren't run over). 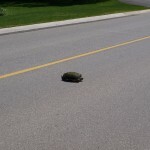 Posted: May 28th, 2009 under Caledon, Photos, Wildlife. Cool picture of the Turtle. I have seen the sign. I will have to keep an eye out. That would be upsetting to me if I ran over one. Thanks also for the gossip on Elton. I wondered where his mansion was. 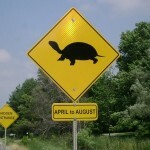 Last week I ran over the turtle (in Bolton) and didn’t realize it until it clicked. I stopped the car and turned back. Luckily I didn’t touch it with my wheels. I got out and helped it across the road. Then as I was getting back in my car he flipped up an arm – I think he gave me the finger….not sure.